Customer satisfaction metrics help categorize ratings to calculate stats, leaderboards, and benchmarks. The first, or "primary question" of a survey is connected with a metric. 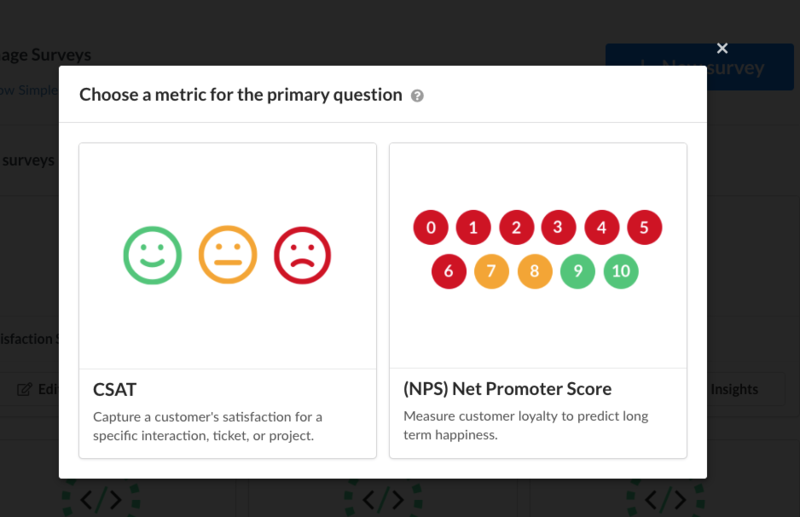 The metrics currently available in Simplesat are CSAT (Customer Satisfaction) and NPS (Net Promoter Score). Choosing a metrics will alter the way dashboard and insights page display and calculate stats. For example, CSAT is displayed as a percentage, while NPS uses its own calculation.